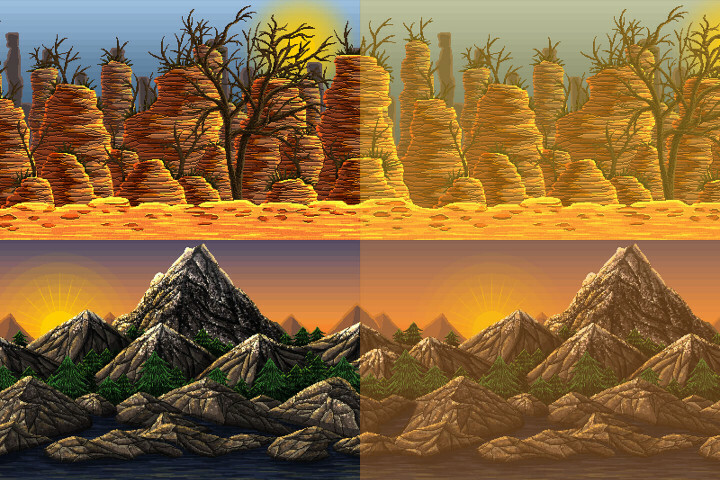 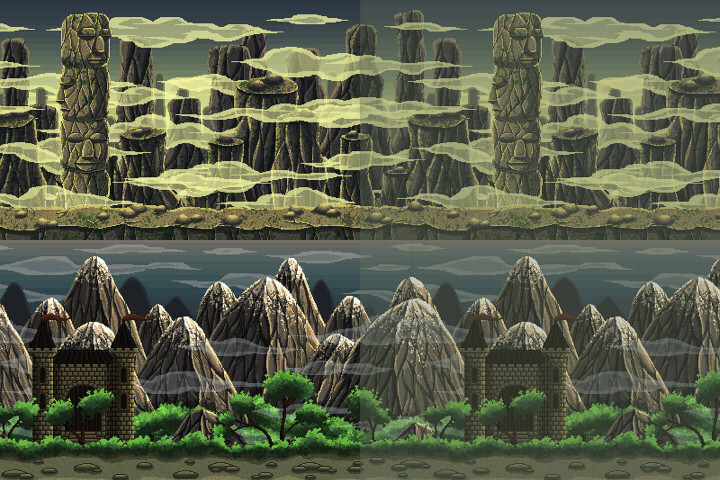 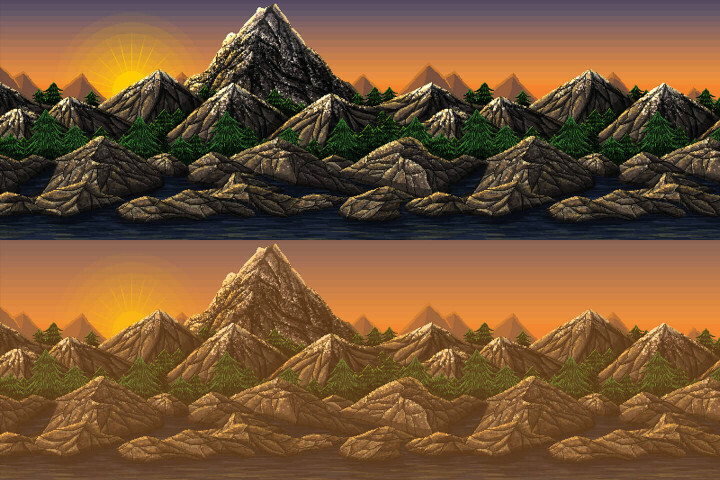 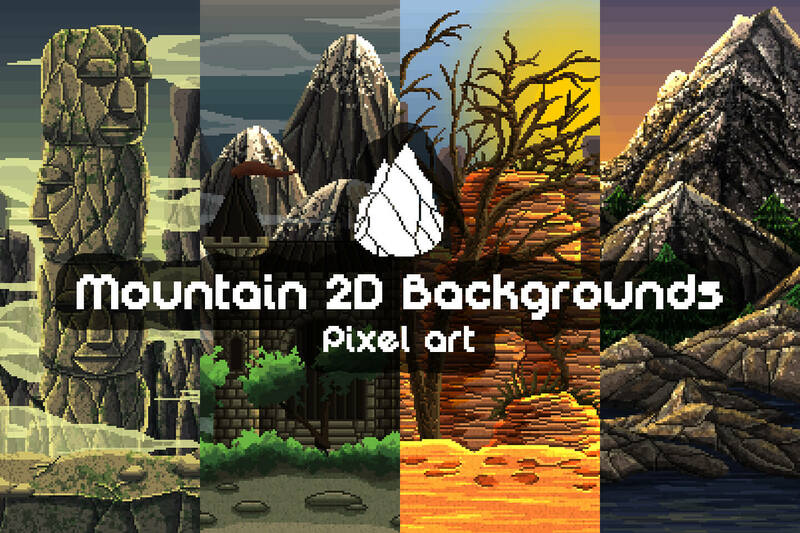 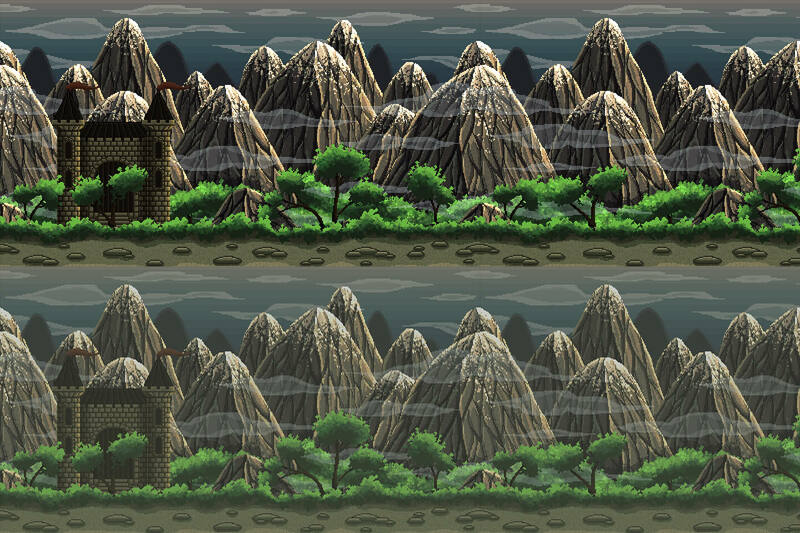 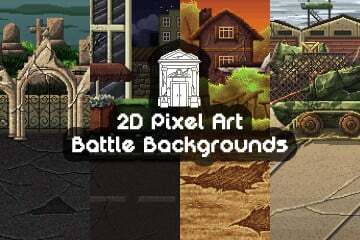 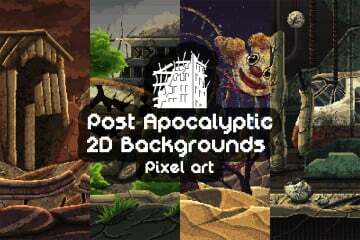 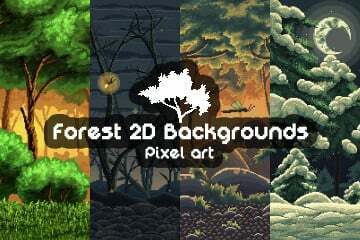 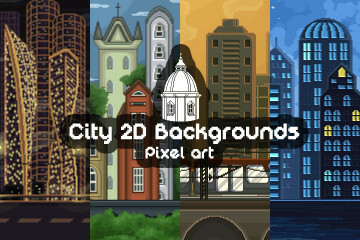 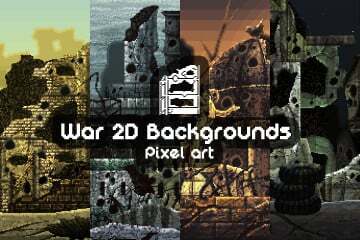 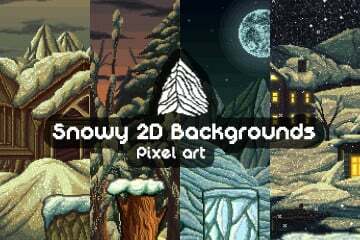 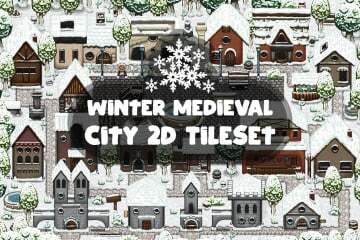 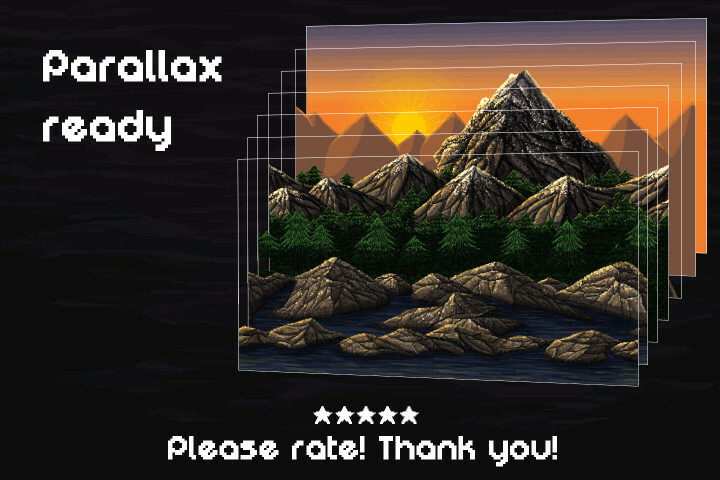 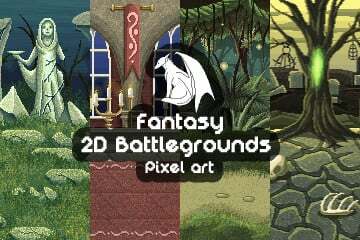 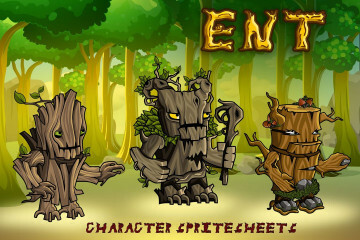 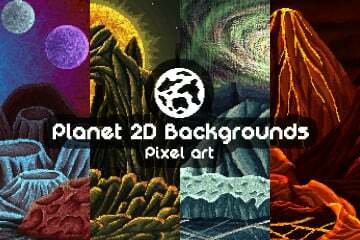 Before you Mountain Pixel Art 2D Game Backgrounds. 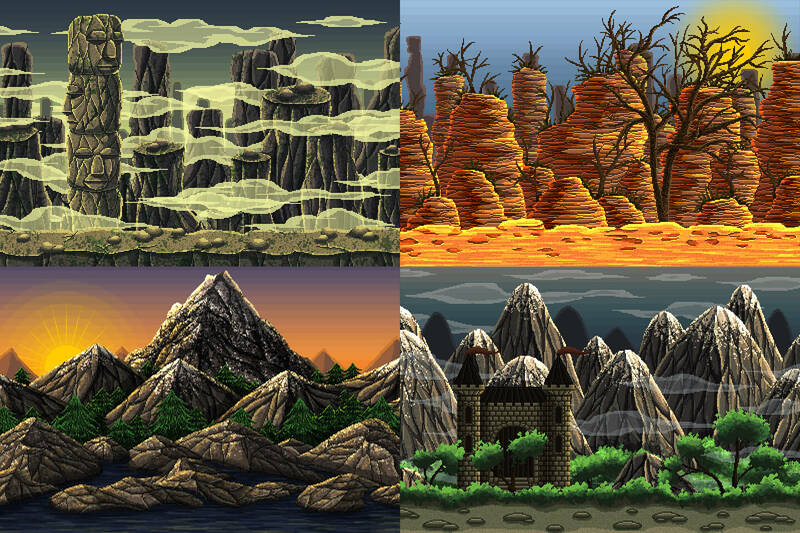 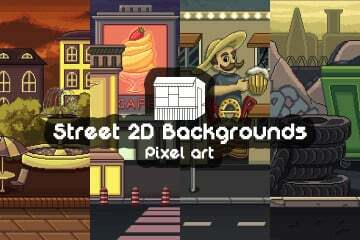 This is a collection of 4 high-quality backgrounds. 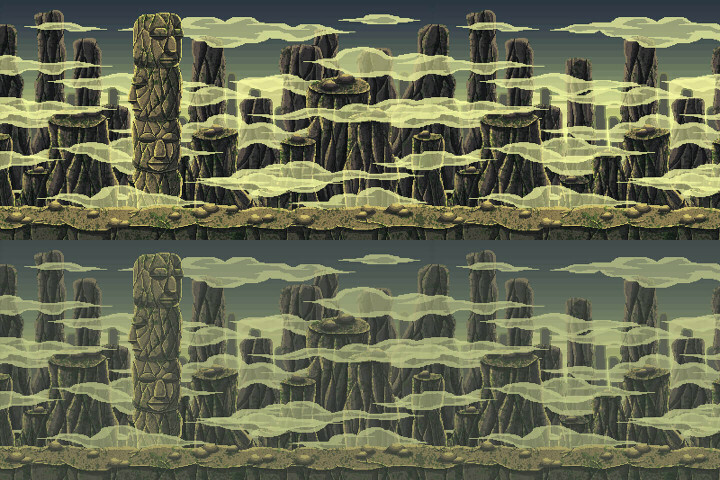 Each of them can be infinitely looped horizontally. Also, each background is divided into separate layers. 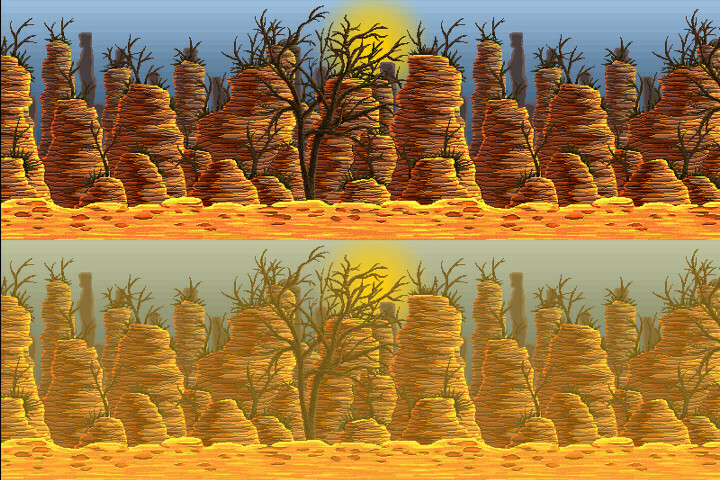 This is done so that you can create a nice parallax effect. 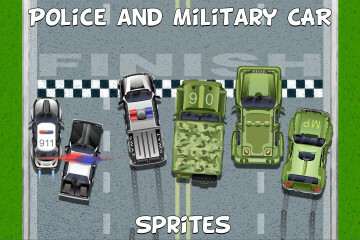 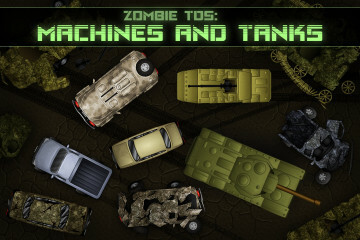 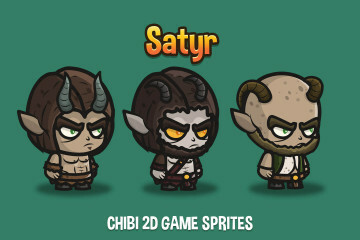 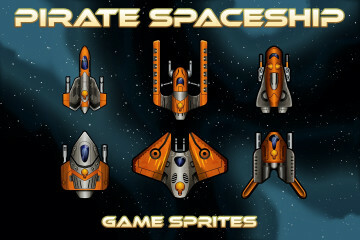 Graphics are well suited for many games. 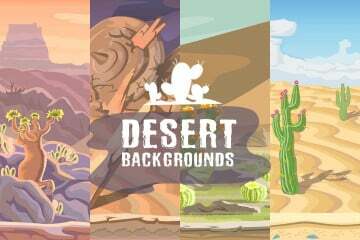 For example, it can be various platformers. 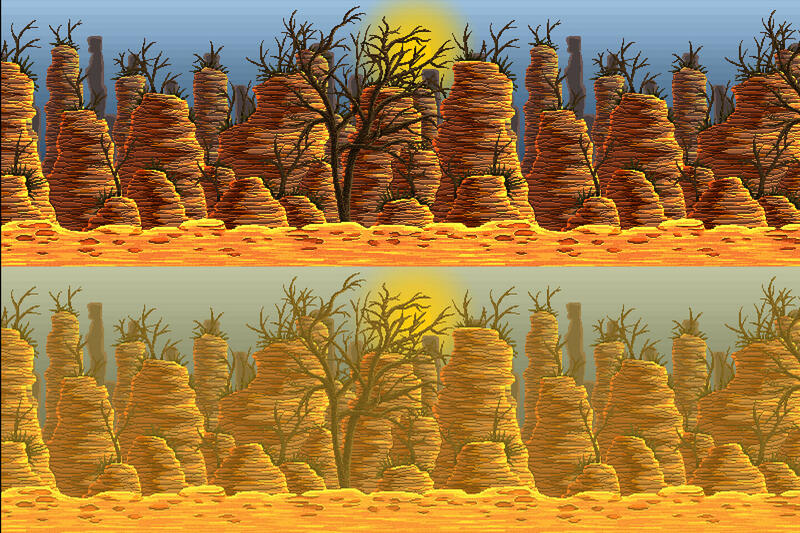 The archive contains the following formats: PSD (multi-layered) and PNG (ready-made backgrounds with a resolution of 1920×1080 and separate layers).